Why? Because it has to do with one piece of news out of D.C. that didn’t make us cringe upon reading. That hasn’t happened in… well… as long as we can remember. The library has been building what it calls its “Digital Commons” space since it received a $3.4 million grant to modernize. Digital Commons is stuffed with 70 computers loaded with pro-grade software like Adobe Creative Suite (programs we use to craft our publications in our Baltimore HQ), Skype stations and an Espresso Book Machine – allowing patrons to self-publish their own books quickly and efficiently, or make physical copies of books out of print. What really caught our eye, though, is their newest addition to the tech lab: 3-D printers. We kick off today’s episode with our favorite disruptive technology… trying as best we can to keep up with its rapid pace. 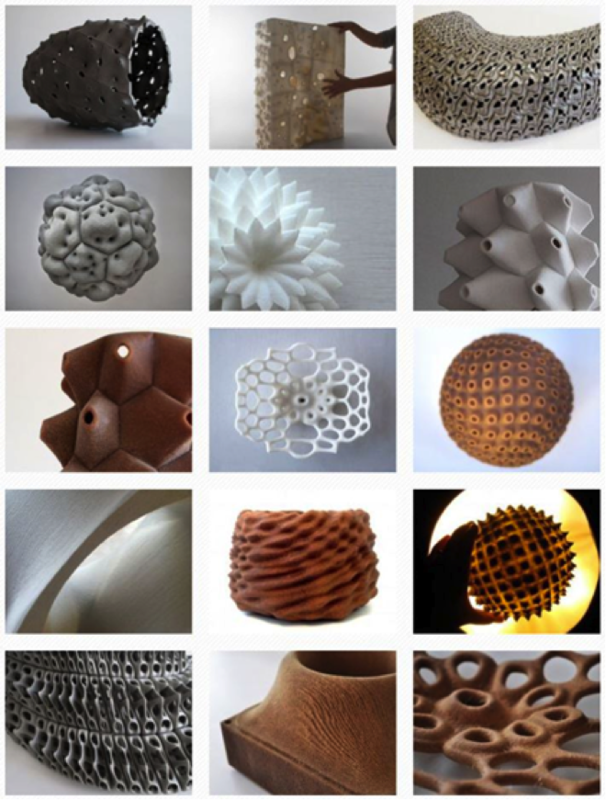 Where else can we find 3-D printing? 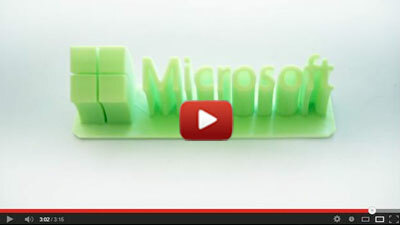 They’ve recently announced Windows version 8.1 is set to make 3-D printing as easy as printing a Word document. “You can probably remember back when a laser printer was an exotic item,” the company’s Shanen Boettcher says on YouTube, “and it was $3,000 to buy, and you had all the software to install with it. Still waiting for the “right time” to get in on 3-D printing? One dream of the world’s Makers is being able to print out your own customized products with the same ease in which you would print out a report at your local Kinko’s. “UPS expects,” The Economist notes, “designers, entrepreneurs, startups and architects seeking models to be among its customers for 3-D printing services. Though the blue chips are starting to catch on, the real advances are still coming from the small startups. “I sat on a 3-D printed bench,” Kevin Lee, a columnist at TechHive writes of his recent visit to Emerging Objects, a small startup in Oakland, Calif.
How big? Well, the aforementioned bench, which the creators call “The Seat Slug,” measures about 11 feet long, “and it looks and feels more like polished stone than anything that came out of a machine,” says TechHive. While most companies were focusing on how they can create better small, plastic trinkets, Emerging Objects began experimenting with materials like wood, ceramic, newspaper, concrete and salt. By the end of the year, they hope to fabricate a full-sized 3-D-printed room or building-sized cement structure (such as a wall, roof or enclosure), that will prove the feasibility of 3-D-printed homes. The August correction in U.S. stocks is picking up speed as the week approaches its end. The Dow is down 125 points as we write, to 15,372. The S&P is retreating further from 1,700. The Nasdaq is holding up best, down about a third of a percent. Gold, however, is holding its own — nearly unchanged from 24 hours ago, at $1,315. The physical gold markets in India and China remain strong. According to the Bombay Bullion Association, gold import restrictions have enlivened smuggling networks. Gold “has overtaken narcotics as the highest-valued smuggled item,” writes Paul Ploumis of the Resource Investor website. China’s gold market is even stronger. Marcus Grubb of the World Gold Council says China will overtake India as the world’s top gold consumer in 2013, with an estimated demand of 1,000 tons — up from 776 tons last year. Meanwhile, one of the most innovative forms of physical gold ever developed is now available to you. On the day after Christmas last year, we noticed private investors in Germany, Switzerland and Austria lining up for “gold bars the size of a credit card that can easily be broken into 1 gram pieces and used as payment in an emergency,” as a Reuters dispatch described it. Developed by Valcambi, a Swiss refinery majority-owned by the mining giant Newmont, the “CombiBar” is now available in North America. Our friends at the Hard Assets Alliance have a supply of CombiBars ready for immediate storage or shipment — your choice. You do need to have a Hard Assets Alliance account to order… but as we’ve said from the beginning, setting up an account is as easy as sneezing. So get your gold right here. The encrypted email service used by NSA whistle-blower Edward Snowden has shut itself down — effective immediately. And with that, Silent Mail is also history. Silent Mail is the email service of Silent Circle. Its president is Phil Zimmerman, the guy who developed Pretty Good Privacy (PGP) email encryption years before most of us even had an email account. Notably, Silent Circle’s phone, video and text encryption services are not affected. Silent Phone, Silent Eyes and Silent Text are still up and running… because unlike with the email service, there’s nothing sitting on Silent Circle’s servers for the government to demand. Can you feel the noose tightening? Developments like these are why it’s so important to take proactive steps to shield yourself from the prying eyes of the NSA while those steps are still available to you. If you haven’t checked out our urgent Laissez Faire Club briefing on the subject, do so now. “Prices hospitals charge for services are called ‘billables’ — however, ‘receivables’ are much lower,” writes a reader expanding on the “extraction” theme we explored on Wednesday. “For example, my surgeon billed $10,000 for an arthroscopic procedure but received only $1,750 from my insurance company. He wrote off (contract discount) $8,200 because he is an in-network provider. I paid a $50 specialist copay. “A few years ago,” writes another reader, “I had a conversation with a retired orthopedic surgeon. He talked about how during World War II there was a wage freeze. So companies were looking for ways to reward employees. That’s when they started medical insurance. “His opinion was that after medical insurance became widespread, medical cost began to increase, because ‘insurance will pay for it.’ Once you take the cost away from the consumer, they no longer are discerning about the expense. “Another reason may well be Medicare. I have a friend who was a purchasing agent for a hospital. Once when he was asked to buy a piece of medical equipment, he dutifully went out for bids. A couple of days later, one of the doctors came in to ask about the progress in purchasing the equipment. When he found out that it had been put out for bid, he told the purchasing agent to just buy it, Medicare was paying for it. “Of course,” writes yet another, “third-party payers (unseen premiums paid to insurance companies) contributed heavily to rising health care costs (because patients didn’t see the money coming out of their pockets). “But the single event most responsible for the problem was when Congress passed the federal law requiring all states to institute ‘state health planning agencies’ whose object was to restrict competition (by requiring a ‘Certificate of Need’ before any new hospital or clinic could be built or any expensive piece of equipment be put into operation), thereby granting monopolies to all existing hospitals and clinics. And now comes word that the feds are way behind schedule testing data security for the vaunted “exchanges” set to open on Oct. 1 under Obamacare. A decision on whether security is adequate will be made on… Sept. 30. And that’s the least of Obamacare’s problems. But as we’ve said before, you’re not helpless. You do, however, need to act before some of the most egregious changes take effect. Here’s what to do, and when. Hmmm… Our “involvement” is limited to getting your attention about one of the most lucrative investment opportunities of the present moment. It happens to render the “gun issue” all but irrelevant… but that’s just one of the ways it will change the world and make a few people with foresight very wealthy. Do you have any of these coins in your pocket?